During the recent one decade, the living models have been changed in Iran dramatically. One of them is about those couples living together without being married as it is completely prohibited according to Islam Sharia which governs all the civil rules in Islamic Republic of Iran. In less than one month ago Majid Doustali, Secretary of the Islamic Republic’s Cabinet, warned about this phenomenon and called it as a new “plot” organized by Western countries and Muslims’ enemies against Iran. Iranian government applies severe rules to regulate the relations between young boys and girls. 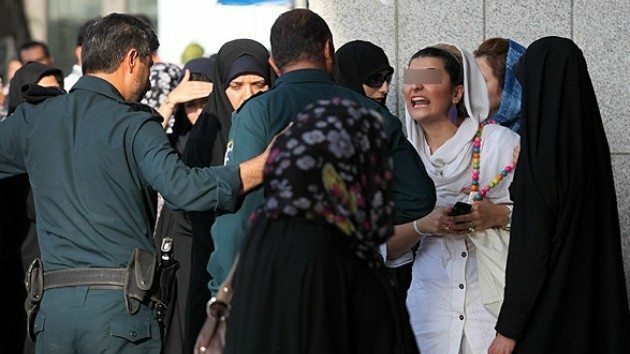 The morality division of Iranian police in cooperation with Basij volunteer forces usually raid and arrest those boys and girls violating Islamic rules in this field. It’s worth noting that the same rule was running in Florida and was considered as sin on 1868. Now it is normal to see couples without official and registered marriages living together in Western countries. Even many celebrities and popular figures are following the same model. damn on this hateful government!